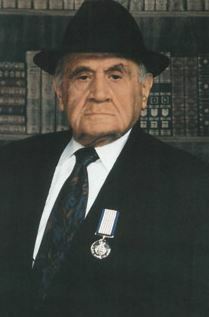 Jacob Ghermezian (1902-2000) was born to a religious Jewish family in Azerbaijan, and grew up in Iran. He started a business selling Persian rugs when he was just 17 years old. Within two decades, Ghermezian became one of Iran’s wealthiest businessmen. In 1943, he hosted Roosevelt, Churchill, and Stalin in his apartment during the critical “Tehran Conference” where the three world leaders discussed the final stages of World War II and planned their path to victory. Unfortunately, the religious, and political situation in Iran worsened in the 1950s, so the Ghermezian family emigrated to America. After a short stay in New York, they settled in Montreal. Soon after, Ghermezian and his four sons (Eskandar, Nader, Raphael, and Bahman) discovered the inexpensive, pre-oil boom Edmonton real estate market, and heavily invested in it. The family fortune soared, and the Ghermezians soon took on their biggest project: the $1.1 billion West Edmonton Mall, which remains North America’s largest to this day (and was the world’s largest from 1985 to 2004). The 5 million square foot complex boasts a theme park (with roller coaster), indoor shooting range, an NHL-sized hockey rink (where Wayne Gretzky’s Oilers used to practice), the world’s largest indoor lake, over 800 stores, a hotel, theatre, bungee jump, and the world’s largest parking lot. The Mall was once called the “eighth wonder of the world”, and draws 32 million visitors a year. The Ghermezians also built the Mall of America in Minnesota, the largest in the United States, and are currently building the extravagant American Dream Mall in New Jersey, which will have America’s only indoor ski hill. Despite the fame and fortune, Jacob Ghermezian never abandoned his Jewish faith, nor did he ever conduct business on the Sabbath. He instilled the same values in his sons, all of whom, like their father, were tremendous philanthropists, funding schools and scholarships, synagogues, charity organizations, and other institutions in Alberta and around the world. To the Jews we owe the idea of equality before the law, both divine and human; of the sanctity of life and the dignity of the human person; of the individual conscience and so of personal redemption; of the collective conscience and so of social responsibility; of peace as an abstract ideal and love as the foundation of justice, and many other items which constitute the basic moral furniture of the human mind. 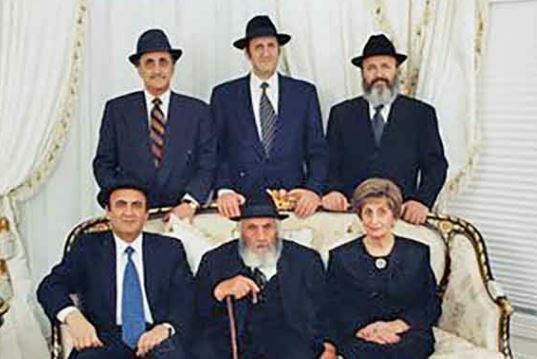 Jacob and Miriam Ghermezian with their four sons in the 1990s. This entry was posted in Business & Finance and tagged Alberta, American Dream Mall, Azerbaijan, Azerbaijani Jews, Canada, Canadian Jews, Charity, Edmonton, Edmonton Oilers, Iran, Mall of America, Montreal, Orthodox Jews, Persian Jews, Philanthropists, Sephardic Jews, Tehran, Tehran Conference, West Edmonton Mall, World War II on January 10, 2018 by Jew of the Week.